Nanospectra’s proprietary technology platform is demonstrated to be safe and effective in initial clinical trials and viable for multiple applications including solid tumors, tissue and drug delivery. The company’s principal focus is the development of AuroLase® Therapy for the ablation of solid tumors. Nanospectra’s AuroLase Therapy utilizes the unique ‘optical tunability’ of a new class of nanoparticles, called AuroShells®. These nanoparticles absorb near-infrared wavelengths of light that harmlessly penetrate human tissue. The particles are delivered intravenously and accumulate in the tumor. Then the tumor is illuminated with a near-infrared laser. The particles selectively absorb the photonic laser energy, converting the light into heat, which in turn, destroys the tumor and the blood vessels supplying it; sparing adjacent tissue. AuroLase Therapy is used with an FDA-cleared laser that emits near-infrared energy with the clinical study specified parameters (power, duty cycle, treatment time) and with an FDA-cleared fiber optic probe for energy delivery percutaneously. AuroShell particles (also known as “nanoshells“) consist of a gold metal shell and a non-conducting silica core and serve as the exogenous absorber of the near-infrared laser energy delivered by the probe. AuroShells are delivered intravenously and due to their small size they are able to accumulate in the tumor through its leaky vasculature. The particles are unable to access normal vasculature and therefore do not accumulate in healthy tissue. Once the particles accumulate in the tumor, the area is illuminated with a near-infrared laser at wavelengths chosen to allow the maximum penetration of light through tissue. The AuroShells are designed to absorb this wavelength and convert the photonic laser energy into heat sufficient to ablate the tumor. 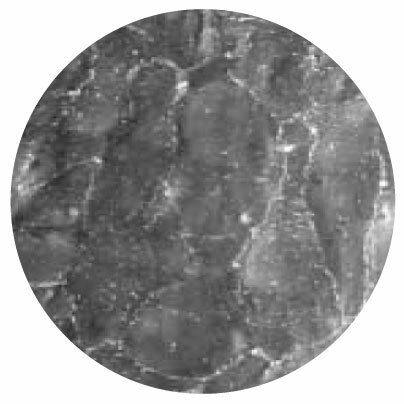 AuroLase Therapy for prostate disease is the first and only ultra-focal tissue ablation therapy designed to maximize treatment efficacy while minimizing side effects typically associated with surgery, radiation, and traditional focal therapies. The company is currently conducting a multi-site clinical trial for prostate disease. 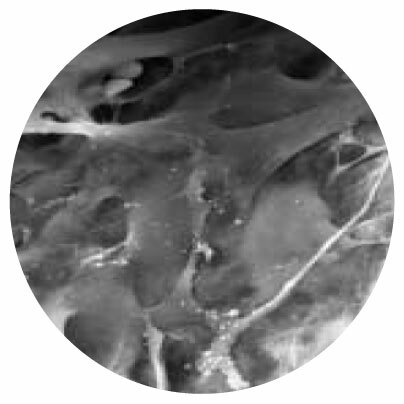 AuroLase® Therapy combines the unique physical and optical properties of AuroShell® particles with a near-infrared laser source to thermally destroy cancer tissue without significant damage to surrounding healthy tissue. Nanospectra’s proprietary nanoshells circulate freely in the blood stream and collect in the tumor. With state of the art imaging technology, the clinician accurately identifies the lesion and positions the optical fiber probe via targeted MRI Ultrasound fusion technology. The diseased tissue is ablated while sparing the surrounding tissue. Performed on an outpatient basis, the AuroLase procedure results in significantly fewer side effects enabling the patient to return to a normal lifestyle within days versus weeks. In addition, patients lose no follow-on clinical options. AuroShell particles are investigational at this current time and only available through designated FDA sanctioned clinical study sites. The following includes selected scientific publications regarding the underlying Nanospectra Biosciences technology. Corrigendum to “Targeted gold nanoparticles enhance sensitization of prostate tumors to megavoltage radiation therapy in vivo”. Wolfe T, Chatterjee D, Lee J, et al. Nanomedicine: Nanotechnology, Biology, and Medicine. Apr 2016;12(3):851-852. We report potent radiosensitization of prostate cancers in vitro and in vivo using goserelin-conjugated gold nanorods. Progressive receptor-mediated internalization of conjugated nanorods over time increases the radiation interaction cross-section of cells and contributes to the effects observed in vitro. The low concentrations of gold required, the long interval between injection of nanoparticles and radiation, and the use of megavoltage radiation to generate radiosensitization in vivo foretell the possibility of eventual clinical translation of this approach. Stern JM, Kibanov Solomonov VV, Sazykina E, Schwartz JA, Gad SC, Goodrich GP. International Journal of Toxicology. Jan-Feb 2016;35(1):38-46. To evaluate the clinical safety profile for the use of gold nanoshells in patients with human prostate cancer. This follows on the nonclinical safety assessment of the AuroShell particles reported previously. Twenty-two patients, with biopsy diagnosed prostate cancer, underwent nanoshell infusion and subsequent radical prostatectomy (RRP). Fifteen of these patients had prostates that were additionally irradiated by a single-fiber laser ablation in each prostate hemisphere prior to RRP. Patients in the study were assessed at 9 time points through 6 months post infusion. Adverse events were recorded as reported by the patients and from clinical observation. Blood and urine samples were collected at each patient visit and subjected to chemical (16 tests), hematological (23 tests), immunological (3 tests, including total PSA), and urinalysis (8 tests) evaluation. Temperature of the anterior rectal wall at the level of the prostate was measured. The study recorded 2 adverse events that were judged attributable to the nanoparticle infusion: (1) an allergic reaction resulting in itching, which resolved with intravenous antihistamines, and (2) in a separate patient, a transient burning sensation in the epigastrium. blood/hematology/urinalysis assays indicated no device-related changes. No change in temperature of the anterior rectal wall was recorded in any of the patients. The clinical safety profile of AuroShell particles is excellent, matching nonclinical findings. A recent consensus statement suggested that the published literature does not support a preference for any ablation technique over another. (1) Now that clinical safety has been confirmed, treatment efficacy of the combined infusion plus laser ablation in prostate will be evaluated in future studies using imaging modalities directing the laser against identified prostate tumors. Targeted gold nanoparticles enhance sensitization of prostate tumors to megavoltage radiation therapy in vivo. Nanomedicine: Nanotechnology, Biology, and Medicine. Jul 2015;11(5):1277-1283. Suppression of the reticuloendothelial system using lambda-carrageenan to prolong the circulation of gold nanoparticles. Magana IB, Yendluri RB, Adhikari P, et al. Gold nanoparticles are employed for imaging and treatment of surgically inaccessible tumors owing to their inherent optical absorption and ability to extravasate through intravenous distribution. These nanoparticles are cleared from the blood by the reticuloendothelial system (RES) as expected given their size. This study demonstrates the effects of RES blockade through the intravenous administration of λ-carrageenan, resulting in a decrease in the median clearance rate from 18.9 (95% CrI: 15.9-22.6) to 11.2 (95% CrI: 8.8-13.9) μl/min and an increase in nanoparticle circulation half-life t(½)( = 264 ± 73 vs 160 ± 22 min; p < 0.01). This 59.3% decrease in clearance is greater than the 15% previously reported for liposomes [ 1 ]. The primary benefit of nontoxic RES blockade is to increase the circulation time, where traditional particle modification is ineffective or impractical. Estimating nanoparticle optical absorption with magnetic resonance temperature imaging and bioheat transfer simulation. MacLellan CJ, Fuentes D, Elliott AM, Schwartz J, Hazle JD, Stafford RJ. International Journal of Hyperthermia, Feb 2014;30(1):47-55. Optically activated nanoparticle-mediated heating for thermal therapy applications is an area of intense research. The ability to characterise the spatio-temporal heating potential of these particles for use in modelling under various exposure conditions can aid in the exploration of new approaches for therapy as well as more quantitative prospective approaches to treatment planning. The purpose of this research was to investigate an inverse solution to the heat equation using magnetic resonance temperature imaging (MRTI) feedback, for providing optical characterisation of two types of nanoparticles (gold-silica nanoshells and gold nanorods). The optical absorption of homogeneous nanoparticle-agar mixtures was measured during exposure to an 808 nm laser using real-time MRTI. A coupled finite element solution of heat transfer was registered with the data and used to solve the inverse problem. The L2 norm of the difference between the temperature increase in the model and MRTI was minimised using a pattern search algorithm by varying the absorption coefficient of the mixture. Absorption fractions were within 10% of literature values for similar nanoparticles. Comparison of temporal and spatial profiles demonstrated good qualitative agreement between the model and the MRTI. The weighted root mean square error was <1.5 σMRTI and the average Dice similarity coefficient for ΔT = 5 °C isotherms was >0.9 over the measured time interval. This research demonstrates the feasibility of using an indirect method for making minimally invasive estimates of nanoparticle absorption that might be expanded to analyse a variety of geometries and particles of interest. Evaluation of the toxicity of intravenous delivery of auroshell particles (gold-silica nanoshells). Gad SC, Sharp KL, Montgomery C, Payne JD, Goodrich GP. International Journal of Toxicology. Nov-Dec 2012;31(6):584-594. Gold nanoshells (155 nm in diameter with a coating of polyethylene glycol 5000) were evaluated for preclinical biocompatibility, toxicity, and biodistribution as part of a program to develop an injectable device for use in the photothermal ablation of tumors. The evaluation started with a complete good laboratory practice (GLP) compliant International Organization for Standardization (ISO)-10993 biocompatibility program, including cytotoxicity, pyrogenicity (US Pharmacopeia [USP] method in the rabbit), genotoxicity (bacterial mutagenicity, chromosomal aberration assay in Chinese hamster ovary cells, and in vivo mouse micronucleus), in vitro hemolysis, intracutaneous reactivity in the rabbit, sensitization (in the guinea pig maximization assay), and USP/ISO acute systemic toxicity in the mouse. There was no indication of toxicity in any of the studies. Subsequently, nanoshells were evaluated in vivo by intravenous (iv) infusion using a trehalose/water solution in a series of studies in mice, Sprague-Dawley rats, and Beagle dogs to assess toxicity for time durations of up to 404 days. Over the course of 14 GLP studies, the gold nanoshells were well tolerated and, when injected iv, no toxicities or bioincompatibilities were identified.